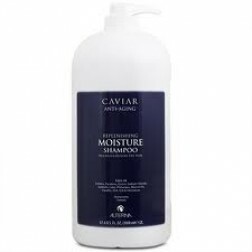 Alterna Caviar Anti-Aging Seasilk Moisture Conditioner instantly rejuvenates dehydrated damaged and dull hair leaving it soft easy to comb perfectly moisturized and full of shine and inner radiance. 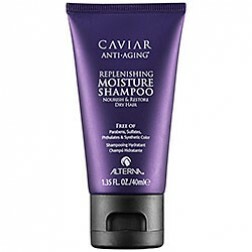 Alterna Caviar Moisture line balances moisture levels delivering youthful shine and silkiness. 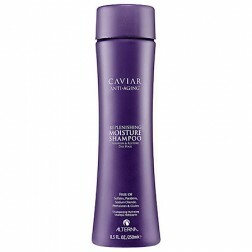 Provides daily nourishment for dry hair. Infused with age control and photozyme complexes to minimize the visible signs of ageing and lock in color. - Contains optimum conditioning properties. 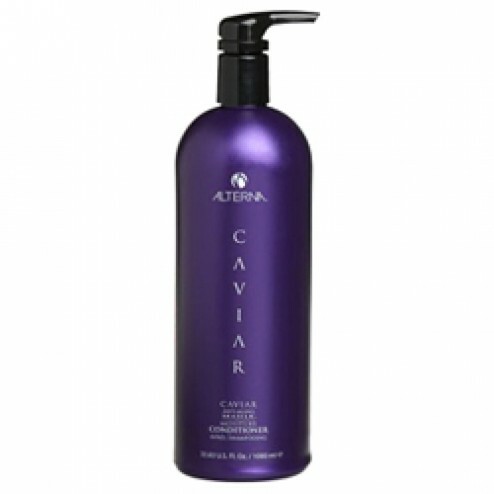 - Retains moisture with a rich blend of lipids that continuously hydrate. - Enhances hair's ability to fight visible signs of aging. Gives UVA/UVB Protection and Thermal Protection. Does Not Contain: Sulfates Parabens Gluten Tea Dea Paba Parafin Phthalates Petrolatum Mineral Oil. Directions For Use: Apply to damp hair. Wait 2 to 3 minutes then rinse. 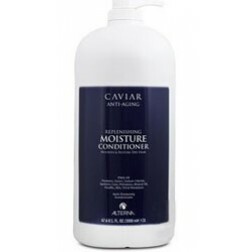 Questions & Answers About Alterna Caviar Seasilk Moisture Conditioner 33.8 Oz. Alterna Caviar Seasilk Moisture Shampoo 1.35 Oz.